Thread: Flex 3401 vs. Rupes Mille/Makita P5000C, for those that are wondering. Re: Flex 3401 vs. Rupes Mille/Makita P5000C, for those that are wondering. Where is the info on the Mille? Rupes has indeed made a forced rotation sander for years and National Detroit made a forced rotation polisher the ND9900 but it was an air tool. I'm glad to hear the Makita is running the right, clockwise, direction in forced rotation mode. I will make it more comfortable for people who already run a rotary and help people who don't get familial with the feel. Does anyone know how the action of the Rupes Mille compares with the Makita as far far as orbits per revolution and revolutions per minute? Thoughts RSW? RPM is higher on the Makita. LOL...I'm just waiting for it to go on the site for ordering. 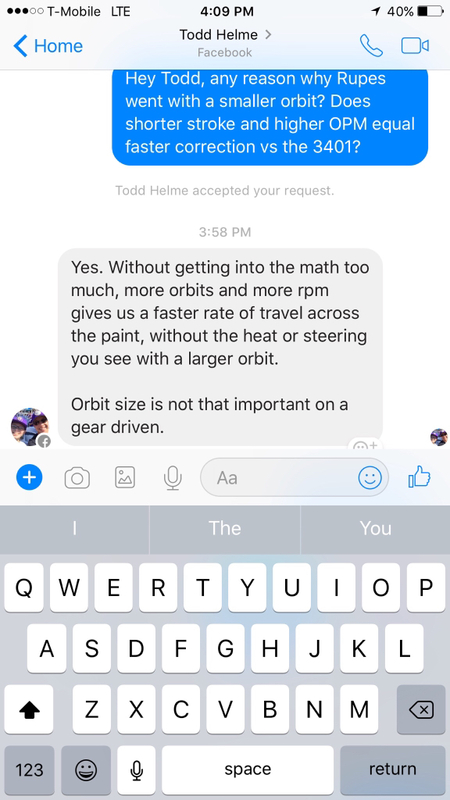 Yeah I can't wait either, since the 3401 and Rupes Mille can't convert to free spinning. IMHO, the advantage that the Makita brings to the table is that it's two tools in one. So instead of shelling out $700+ for two tools, a gear driven da and a free spinning da you get both in one tool for $369.00. I'd have to say that's a major plus in the Makita's favor and a revolution in the da world. I'd give up a little on the forced rotation comparison side to a 3401 to have two tools in one. Talk about "Flexability"
So do you think the Mille can finish better than my 15mkII? My paint never gets hammered so how a machine finishes is my main concern. Also I'm assuming more pads from Rupes? 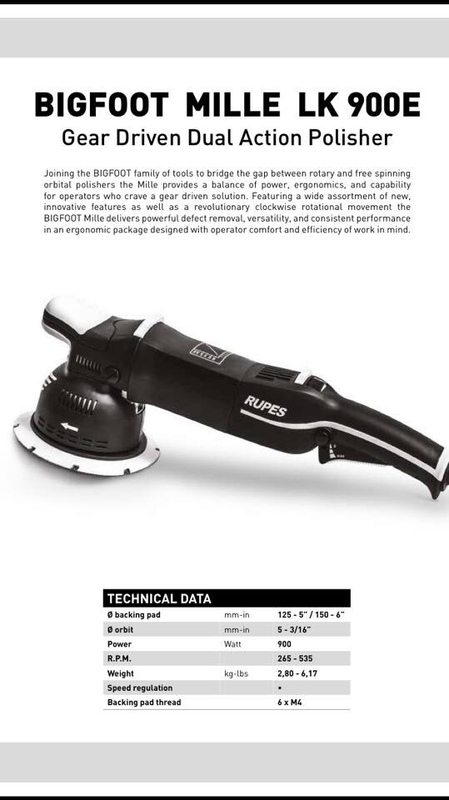 Rupes UHS with the flex 3401? Flex 3401 or Rupes 21? which one to choose makita bo6040 or Flex 3401?? By style in forum Ask Mike Phillips your detailing questions!